If you approach your decision to sell your home realistically, you will also take some important steps to assure that it is in prime condition, shows well, is priced properly and appeals to the largest-possible pool of potential buyers. Once you have made the decision, one of the best things you can do is "shop the competition." Visit open houses in neighborhoods like Inverness, or other neighborhoods near you. Look at listings of comparable properties online, and try to understand what's selling and what's not. Ask pertinent questions of real estate agents, and ask a friend or neighbor to view your home with "fresh eyes." You'll gain some new understanding. But then, it's time to "set the stage" for prospective buyers. Think of staging as a merchandising tool, and know that it's one of the best things you can do to sell your home quickly and for top dollar. Here are 5 ways to do it right. View an initial consultation with a professional stager as an investment. 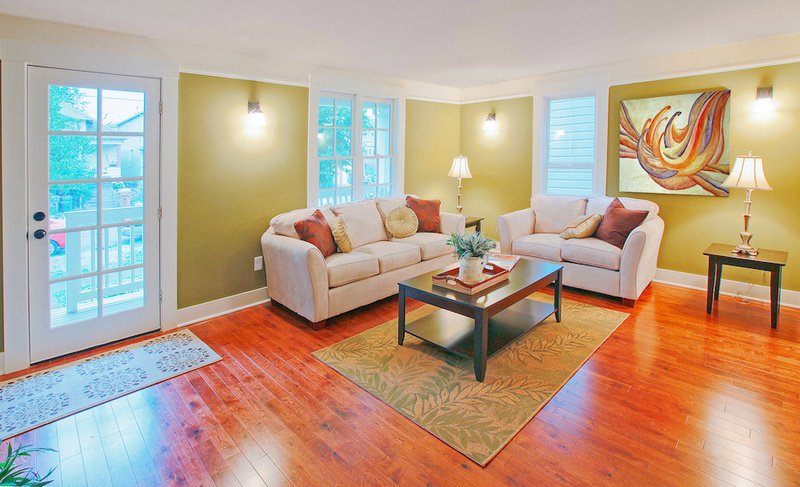 Staging to sell is not the same as decorating a home to live comfortably. With professional guidance, you'll find ways to appeal to the greatest number of potential buyers with the most ease and at a cost-effective price. If you need additional help with furnishings or accessorizing, the price may be well worth it in terms of a faster sale. Even if you pay for professional staging of an entire home, the fee almost always is less than a first price reduction for a home that's on the market longer than 30 days. The time to start sorting and packing your belongings is as soon as you make the decision to sell. Waiting until you have a contract always adds to your stress. Homes with minimal belongings show better and sell more quickly. Prime selling features include spacious closets, pantries and cabinets that are no longer filled to overflowing, and garages that are well organized and clean, with space for vehicles and organized storage for toys and sporting equipment. A staging professional is aware of view lines, and will help you determine a focal point for each room, emphasize outdoor views, properly arrange furniture to allow good traffic patterns and access, and showcase the intended purpose of every space. Buyers want to be able to "see" how the house would live. Bedrooms should not be hybrid offices, and dining rooms should not be used as playrooms or homework stations. Flaunt your home's best features, and de-emphasize imperfections. You have no doubt heard that you should declutter and depersonalize. But don't overdo the bland. Remove most personal belongings to ensure that buyers can best visualize themselves in your space, and don't leave expensive jewelry, art or breakables in view, but don't think that you should remove all art from the walls or completely clear kitchen countertops. In fact, a well-placed bowl of fruit, decorative candle, vase of fresh flowers or a whimsical piece of art might just be the "trigger" that prompts an offer. Likewise, although you probably don't want every bedroom to be a different primary color, there is no reason why every wall has to be beige, either. Visitors to your home react with more than their eyes. Be aware of lingering odors. Use your vent fans routinely, and open windows to let fresh air in, but don't overdo the scents. Vanilla candles and living plants help to counteract the evidence of household pets. For showings, open all blinds and turn on lights to eliminate shadows, put on some soft classical music, place bouquets of fresh flowers in the bathrooms, and keep your home immaculately clean. Sweep the front porch and the back patio prior to every showing to ensure that the home looks clean and polished from front to back.